Egyptian film Poisonous Roses (Ward Masmoum) won the audience award for Best Foreign Film at the Diorama International Film Festival in India. The film has been shown in over 20 international film festivals, after it premiered at the 2018 International Rotterdam Film Festival. 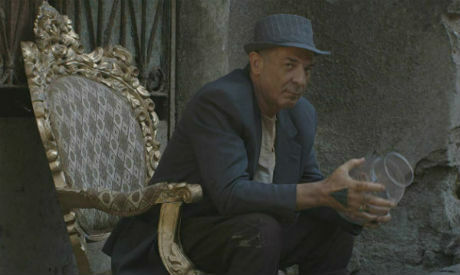 This marks the film’s sixth award, winning the Best Film Prize at the Tarifa-Tangiers African Film Festival (FCAT) in Spain, and the Jury’s Special Prize at the African International Film Festival in Nigeria, in addition to three awards at the Cairo International Film Festival; Best Arab Film Prize and Salah Abu Seif Prize at CIFF's Horizons of Arab Cinema Competition, and the United Nations Population Fund award. The cast of the film includes Ibrahim El-Nagari (in the role of Saqr), Merihan Magdi (Taheya), Mahmoud Hemida (the magician), Mohamed Berakaa (the sheikh), and Safaa El-Toukhy (the mother). Poisonous Roses follows the life of Saqr, who dreams of leaving the tenebrous Egyptian tanners’ district where he lives and works. His sister Tahiya is attached to him and tries to stop him at any cost, obstructing his plans to migrate to Italy. The film is documentary-like in the way it portrays the lives in the tannery, giving people insight into that world.